We recently asked creators what they do to get motivated to work on their creative projects. I know this is silly, and I make sure not to fantasize too often, but I like to practice my Eisner acceptance speech in order to get motivated. I know, I know…but it’s better than the negative thoughts and self doubt that usually flood my head when beginning new projects. I loved this idea and it is very much in line with thinking positively and working towards the future that you want to see for yourself. 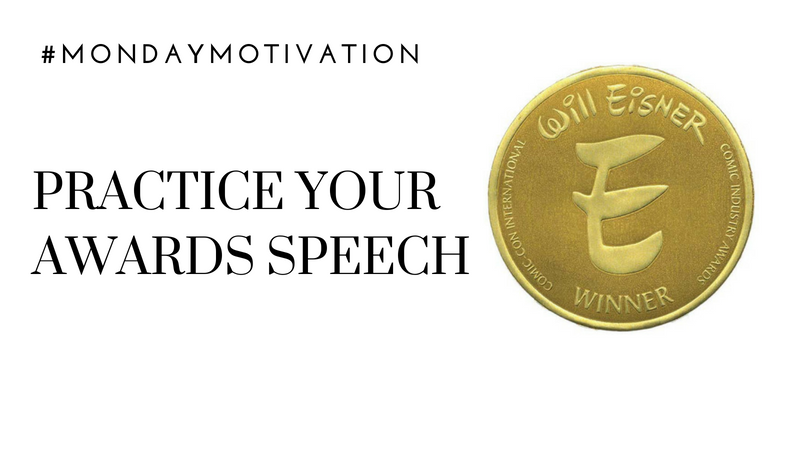 What would your Eisner speech be all about? Who would you thank? What did you have to do to garner that recognition? Does this help motivate you to work on your creative projects? If not, what does motivate you? Let us know!